When Starburst first was released by NetEnt, a lot of people uttered the word ”Really?”. Here’s a game that lack things such as bonus round, free spins mode, progressive jackpot, and pretty much every feature a modern gambler would expect from a slot game. With that being said, there was something to this simple 10-payline title, and it is now the most played online slot of all time. We believe we know why. When you think about it, just because you’re throwing in a bunch of fancy features in a game, it doesn’t necessarily make it popular, and Starburst, if any game, is clear proof of that. If you look past the gambling sphere and look at simple video games, you still see people playing Super Mario on old Nintendo consoles. We highly doubt that’s because of the cutting edge graphics. Rather, there’s something about the genuine likability of games such as Starburst, and rather focusing on piling on a bunch of exotic features, they’ve instead kept it clean, easy to understand, and made sure the gambling experience is fantastic, regardless of the device you choose to enjoy it on. One thing we really love about Starburst is that all the symbols are following the same theme, and they’re easily distinguished from each other. They’ve even thrown in a BAR and a SEVEN symbol as well, so even grandma gambler can feel right at home. This makes the games much easier on the eyes, and it’s way easier to follow the game play. Furthermore, the fact that it pays both ways also means that it isn’t over until the last reel has spun, offering maximum excitement throughout the whole game round. On top of that, it ain’t particularly hard to keep track of the paylines in Starburst, especially as there’s only 10 of them. This means you don’t have to be Rainman in order to quickly figure out if your spin is gonna result in a win or not. As mentioned, the game lacks a bunch of fancy features, but that doesn’t make it boring by any means. The only major feature in the game is the stacked wild symbol, and when it pops up on the reels, you know you’re in for a treat. You’ll find it occupying all 3 positions on reel 2, 3 and 4, and if you’re really lucky it can occupy all 3 mid-reels at the same time. When this happens, you can start thanking your lucky stars. What’s great is that every stacked wild reel comes with a re-spin, giving you further chances to hit pay dirt. This is what makes Starburst into the popular game that it is. It’s all about the perfection of the sound, graphics and the right speed of the spin. The background music is quite diminished, which makes the payout sound of a nice symbol combination pop. This contrast is a very appealing feature, especially when you manage to get the big win screen. The graphics are as crystal clear (or gem clear) as you’d expect from a NetEnt slot, and also here, they’ve nailed the contrast part as the background is quite dark, making all the symbols pop nicely. We also like the fact that the wild symbol is a combination of all the gem colors in the game, making it blatantly obvious that it can stand for any other symbol. Speed wise we also believe they’re spot on, and once more we really like that the game pays out both ways, ensuring that there’s still hope even when you’re waiting for the result of the last reel spinning. Starburst is a fantastic game, and is clear proof that sometimes, less is more. When you first hear about the lack of features, it’s easy to jump to conclusions, and go for another of the thousands of slot games. 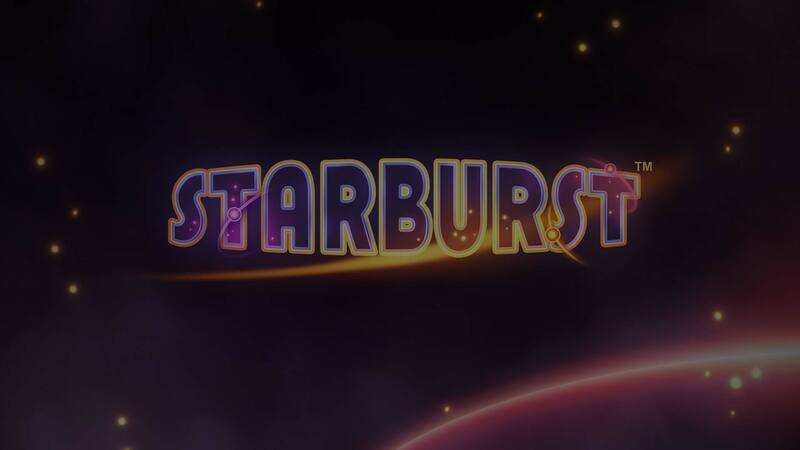 But, Starburst is a game that has and will stand the test of time, much like the new slots today that will just come and go. Therefore, we dare to say that Starburst is one of the best titles out there, and we know we’re not alone in thinking so.